Ponies from My Little Pony drinking and not learning anything. Two animated characters from the first person shooter, Team Fortress 2, have a funny lightsaber duel. An animated character from Team Fortress 2 holds two lightsabers. Another character makes Darth Vader noises. Slunder - Let's find the house! 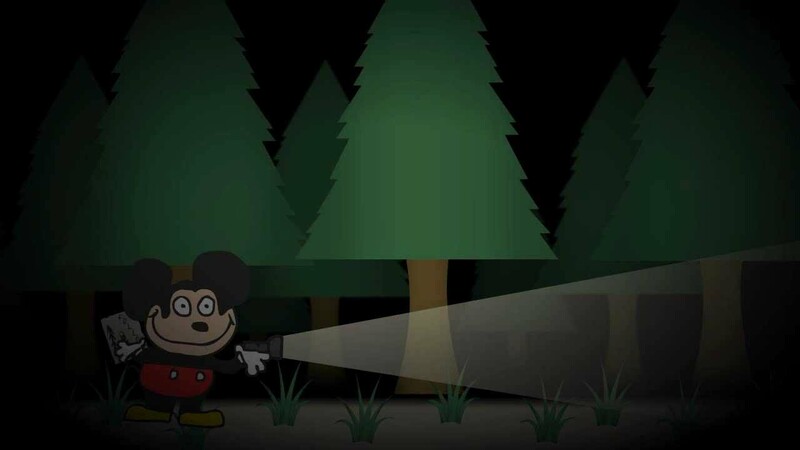 A cartoon of a crudely animated Mickey Mouse being chased through the woods at night by a Slenderman like monster.